Police have raided the city offices of a Melbourne Council candidate, dramatically escalating investigations into suspected vote-rigging ahead of this weekend’s election. Police and local government officers investigating an illegal “vote harvesting” scheme entered the Queen Street offices of Azeezur Rahaman today. Mr Rahaman owns the multi-million-dollar Southern Cross Education Institute, which teaches 1000 local and international students childcare, business and aged-care courses and employs 110 people. 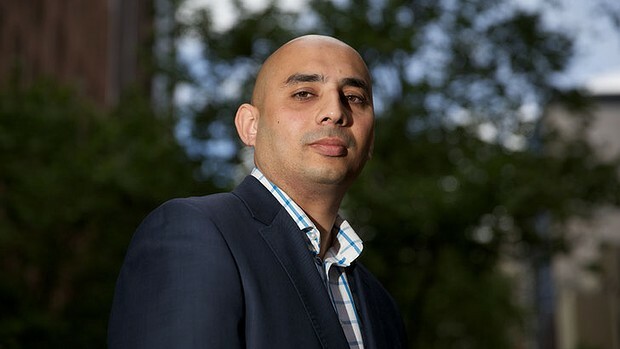 The local government watchdog made its move on Mr Rahaman after a painstaking five-week investigation tracking a batch of between 450 and 500 suspect voter applications, discovered by the City of Melbourne and revealed in The Age last month. 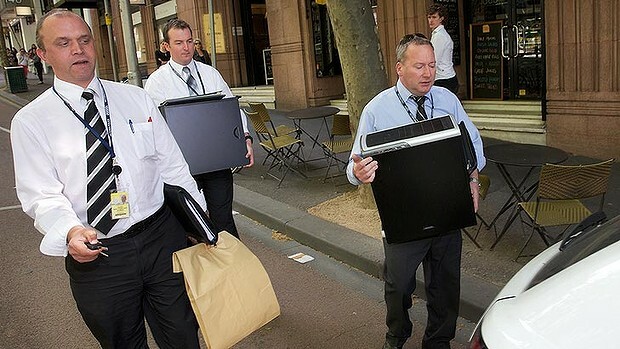 The Local Government Investigation and Compliance Inspectorate confirmed Victoria Police executed search warrants on two Melbourne properties today and seized evidence including documentation and communications equipment such as computers and mobile telephones. The council has removed the suspect voter applications from the certified roll, so they will not affect the outcome of the election. The fraudulent batch of votes included anomalies such as 25 people living in a one-bedroom apartment and another 30 living at an address with no physical building. As the No. 1 candidate for one of the nine main leadership teams, Mr Rahaman may be elected to council this weekend. Most residents have already lodged their postal votes and voting closes on Friday afternoon. The latest developments come after a series of issues in the lead-up to the poll, including suggestions of bullying and ballot theft and calls from The Age for candidates to reveal their financial backers in a bid to promote transparency. If the Inspectorate collected any evidence, it would take weeks to prepare a brief and launch a prosecution for high-level corruption offences under the Local Government Act. A conviction carries penalties of up to five years’ prison or fines up to $84,000, and a ban from holding office as a councillor for seven years. Mr Rahaman is the leading council candidate on the “Community and Business Leadership” team headed by African-Australian lord mayor aspirant and 2009 Victorian of the Year Berhan Ahmed. The team’s deputy lord mayor candidate is city real estate agent Sunny Lu. The team is managed by active Australian Labor Party man and former Hobsons Bay mayor Bill Tehan. DIRTY tricks and “dirt sheets” continue to sully council elections across Melbourne with one Moreland candidate’s letterhead hijacked to wrongly tell residents he supported building new Mosques. Mohammed Elrafihi was yesterday alerted by phone calls from concerned supporters who told him they had received a campaign letter, riddled with spelling errors, with his name and picture on it. “It’s time to deliver, time to deliver new Mosques in Moreland”, it read. Mr Elrafihi, 25, who is running for council for the first-time as a Labor-member candidate for the North-East Ward, spent yesterday with the Victorian Electoral Commission and police. He was told the appropriation of his letterhead may constitute defamation. “I find it hard to believe anyone would denigrate another by using race – just to win an election”, he said in a press release. Mr Elrafihi, who is Muslim, was told by the local pamphlet distributor that another man had come in after him last weekend saying he had extra material to distribute. The distributor did not know the man but Mr Elrafihi said he had some idea who was responsible. Meanwhile, further south in the City of Kingston three councillors said they would lodge official complaints against an opponent, fearing their re-election campaigns have been unfairly damaged by “dirt sheets” distributed across the south-east suburbs. Councillors Rosemary West, Trevor Shewan and Steve Staikos say they have been cleared by the local government inspectorate of any wrongdoing over allegations they misused council funds and this week expect to be cleared of bullying claims. The City of Kingston is awaiting an external report on the bullying allegations. The councillors are pursuing action against Liberal candidate Justin Scott, who authorised material that was distributed across Moorabbin, Oakleigh South, Clayton South, Cheltenham, Mordialloc and Chelsea highlighting the investigations. The trio also claims Liberal MP Inga Peulich has been trying to exert influence on the composition of the council in the lead-up to this week’s election. Ms Peulich raised the bullying claims in Parliament earlier this month. Her son, Paul, is also a Kingston councillor and is a direct opponent of Cr Staikos, a Labor councillor, in the north ward. One flyer claims the three councillors “delayed the handing down of a report into bullying investigations made against them” by a council staffer. The trio has denied this. Cr Staikos said the material – which has been described in the area as “dirt sheets or s— sheets” – had been posted directly to every voter in his ward and that it had damaged his reputation. He said he knew of at least one voter who had been swayed by the material, although “dozens” of people had contacted him complaining about it. Cr Staikos said he had complained to the Victorian Electoral Commission and had sought legal advice over whether it was defamatory. Mr Scott defended distributing the flyers, saying there was a clear public interest and that he had evidence the trio delayed a bullying investigation. He would not say what that was. “All I’m trying to do is bring it out in the open, saying these people who are claiming they are transparent are not necessarily independent,” he said. Mr Scott also defended targeting candidate David Eden, claiming he was not the independent he said he was. Mr Eden’s father, Nick, stood for Labor in the 2000 federal election and as a Bayside councillor, but both reiterated yesterday David was not affiliated with any party. Nick Eden said the targeting of his 18-year-old son was as nasty as he had witnessed in politics and that Mr Scott needed to have a “good hard look at himself”. David Eden said he had also lodged a complaint over the material. Ms Peulich, who last year commended Mr Scott for contesting the seat of Clayton in the 2010 state election, referred questions over her involvement to the Kingston mayor and chief executive. She could not be contacted for interview.